Elliptical Trainer Best Buys - Recommended by Industry Experts! 1. Personally Trying the Different Models (Yup, this means we test the machines). 2. Visiting with Manufacturers & Maintenance Centers (Yes, we’ve been to the corporate headquarters). 3. Calling Customers that Have Made a Purchase (We’d Love to hear from you)! The NordicTrack FS7i allows you to set your own stride pattern rather than forcing you to confirm to a set pattern of the machine. The advantage is you can target more muscles resulting in a greater cardio burn with the ability to perform on a elliptical, treadmill and stair stepper all in one machine! The FreeStride Trainer comes with a touch screen monitor and features ifit live. 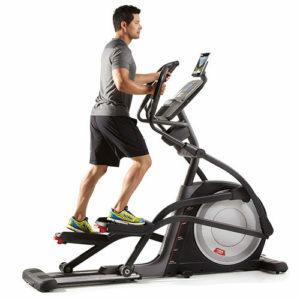 This is one of NordicTrack's best sellers. . Read the full Review Here or visit the manufacturer at NordicTrack.com to learn more. ProForm has been building some of the most durable and stable ellipticals in their class for years. 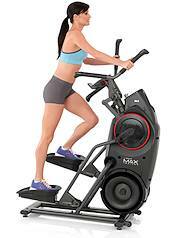 They have won many “Elliptical Best Buys” awards from a number of prominent sources, including this website. The ProForm PRO 16.9 Elliptical has cushioned foot pads which are designed to match your normal gait for walking and running. With the ProForm PRO 16.9 you have adjustable pedals to help eliminate "toe sleep", a decent quality sound system compared to most, and a SIX year parts warranty which speaks of the durability (Lifetime on the frame), 3 years labor. If you are looking for a rewarding cross trainer experience and a very low maintenance machine, for less than $1,500 the ProForm 16.9 we feel will give you great service. 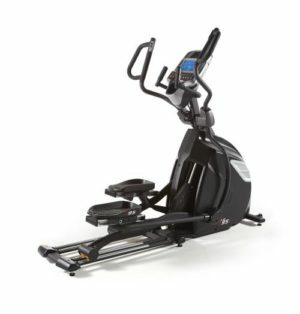 Read our full Review Here or visit the manufacturer's website at Proform.com/Ellipticals to learn more! 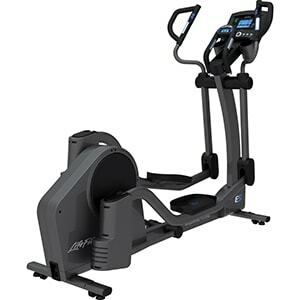 Comfortable and fun exercise machine, the Sole E95S includes up to a 5 year warranty which speaks of the quality. Electro-magnetic resistance on the heavy duty spin wheel makes it one of the quietest and smoothest machines we tested when changing resistance levels. The E95S includes many safety features such as ergonomically designed foot pedals to prevent toe sleep. We have been on a number of machines in this price category and you normally would spend $3500-$4000 with competitors for this quality. Buy direct from Sole and receive a better value with more "bang for your buck". Read our full Review Here or visit the manufacturer at Sole.com for more details. This elliptical has two features that make it a stand-out. First, there is the Variable Motion, so you can extend your stride out to 38″. In comparison to a fixed elliptical stride, the Variable Motion exercises more lower body muscles while giving you an intense cardio workout. Second, this machine has a 10” full color touch screen display with iFit Live. You can define your goals, track your stats, and simulate running outdoors with Google Maps. 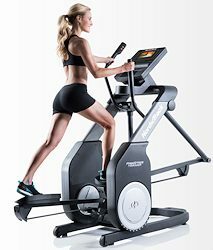 These two technologies make the FreeStride Trainer FS9i one of the most innovative and effective cross-trainers on the market. This is a serious cardio burning and body toning machine. Read our full Review Here or visit the manufacturer at www.NordicTrack.com to learn more. The Elliptical Trainer Buyer’s Guide. Ready to buy? You need our ‘Nuts & Bolts’ guide for choosing and purchasing an Elliptical Trainer. Interested in a Treadmill or Stationary Bike? – Tons of Reviews written by our good friend Rob Chapman, a stationary exercise bike authority!